If you feel passionate about marine conservation and want to make a difference then it is time to get involved. There are a number of fantastic projects and organisations out there just waiting to recieve a call or email from you offering your assistance. Think about what you are most passionate about and interested in, then search for an organisation or project working in that area. Once you have done that, contact them to find out what assistance you might be able to give that aligns with both your skill set and availability. Volunteering time to conduct fieldwork, e.g. scientific diving, sea turtle beach monitoring surveys, etc. ECO BARGE CLEAN SEAS INC. If you are a regular out on the reef then you can help the Great Barrier Reef Marine Park Authority (GBRMPA) collect invaluable data through the Eye on the Reef Program. 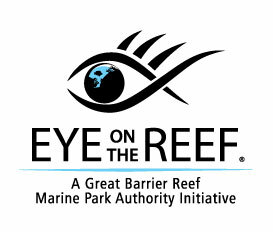 Eye on the Reef is a reef monitoring and assessment program run by GBRMPA. This program allows anyone who visits the Great Barrier Reef (GBR) to assist with its long-term protection through the collection of valuable information concerning reef health, marine animals and incidents. One of the simplest ways to get involved with this program is to download the Eye on the Reef application (available on iTunes or Google Play), or login online, to share photos and any observations from the reef. The following text taken from the GBRMPA webpage (Accessed 30/3/16) will give you an idea of the sort of sightings that are relevant to the program. The information collected through the program is combined in a single Survey Activity map. There are a range of different ways you can take part in this program regardless of skill level. For the first time, monitor the numbers of the Australian east coast population of grey nurse sharks and determine if it is increasing, stable or declining. Provide information on the distribution and movements at different stages in their life history. Provide data to enable interactions with commercial and recreational fishing gear to be quantified, along with associated injuries and any shark recovery. Help to identify new aggregation sites. GNS Watch through community and researcher photos will provide good data for management purposes via an open and transparent mechanism that involves interested parties. The grey nurse shark (Carcharias taurus) is one of Australia’s most endangered species. Grey Nurse Shark Watch was established in 2011 and is a citizen science research and monitoring program that uses the unique spot pattern on the sides of each shark for photo-identification. The success of the program is dependant on visual counts and photographs of grey nurse sharks that are collected opportunistically throughout the year, and during two annual scheduled surveys (Survey 1 is in January/February and Survey 2 is in July/August) to photo-identify and photo-recapture individual sharks. Seagrass-Watch is a global scientific, non-destructive, seagrass assessment and monitoring program. To educate the wider community on the importance of seagrass resources. To raise awareness of coastal management issues. To build the capacity of local stakeholders in the use of standardised scientific methodologies. To conduct long-term monitoring of seagrass & coastal habitat condition. To provide an early warning system of coastal environment changes for management. To support conservation measures which ensure the long-term resilience of seagrass ecosystems. Project Manta was established in 2007 and aims to provide much needed biological and ecological information on the species in Australian waters. Individual manta rays are recognisable by a unique pattern of dark markings on an belly surface and by other permanent features. Project Manta need photographs of the ventral surface of mantas showing: between the gill slits, the belly and pelvic fins for photo identification. Videos of manta rays are also needed. Note that when you share photos with Project Manta, if a new manta is identified from your shots, you will get the naming rights for the manta! Photos provided are integrated in a major photographic database which includes all pictures of manta rays recorded around the Australian coastline. If you have images of manta rays from Australian waters you can submit them via email to project.manta@uq.edu.au or online via their Facebook page. Project AWARE was originally established in 1989 by Professional Association of Diving Instructors (PADI) with a mission of educating divers about ocean issues and encouraged participation in underwater conservation activities. The Project AWARE Foundation is now a separate nonprofit organization that raises its own funds focused on growing a global movement of scuba divers protecting the ocean planet – one dive at a time. They are focused on two main issues: Sharks in Peril and Marine Debris (ocean trash). Project AWARE are dedicated to supporting divers to help protect the ocean through the provision of online tools and resources; online petitions that influence global environmental policies; and by providing online data collection systems for collecting key data concerning the state of oceans. Be around the light bringers, the magic makers, the world shifters, the game shakers. They challenge you, break you open, uplift + expand you. They don’t let you play small with your life. These heartbeats are your people. These people are your tribe.